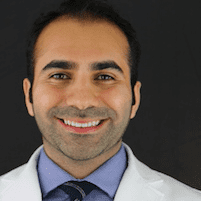 Dr. Homam Saleh, DDS is a Board Certified Dentist who provides oral healthcare for residents of the Financial District in downtown Manhattan, New York City, New York, 10004 and surrounding communities. At World Trade Center Dental Group, the doctor and his staff perform various types of cosmetic dentistry and associated procedures. What Types of Procedures Are Used in Cosmetic Dentistry? Cosmetic dentistry is more than just aligning the teeth and improving the structural look and integrity of the face. It also involves repairing and restoring teeth that have become damaged or broken. Porcelain veneers, crowns, dental bridges, and alignment plans like Invisalign® trays are considered to be cosmetic procedures. Cosmetic procedures are mainly considered when the condition of a person's teeth has reached a stage where they have become so damaged that they cannot be repaired with sealants, composite fillings or other types of dental procedures. Does Cosmetic Dentistry Have to Be Invasive? Not all cosmetic procedures are invasive. Teeth whitening systems, porcelain veneers, and Invisalign® trays are applied to the surface of the teeth. Crowns, bridges, and dental appliances may require placing anchors in the jaw bone to hold the device in place. This is also true if a tooth has been lost during an accident. A small post is anchored into the jawbone at the appropriate position and a bridge or crown is snapped into place. Unlike wisdom teeth that may have to be surgically removed, most cosmetic procedures do not require full anesthesia. The majority of procedures use a form of sedation that is not as potent as that used during a surgical procedure. What Conditions Can Cosmetic Dentistry Help to Correct? Cosmetic dentistry can help to correct many abnormalities and problems that are commonly seen by today's dentists. Slightly misaligned teeth, chipped or broken teeth, teeth that have become compromised or stained due to lack of appropriate nutrition or care, and small, misshapen teeth can all be corrected through procedures associated with cosmetic dentistry. While many cosmetic procedures are designed to improve the look of the teeth, others help to restore proper form and function allowing the person the ability to chew their food properly and help to keep the rest of their teeth in place and in alignment.